4. Configure the app host in config.js file. 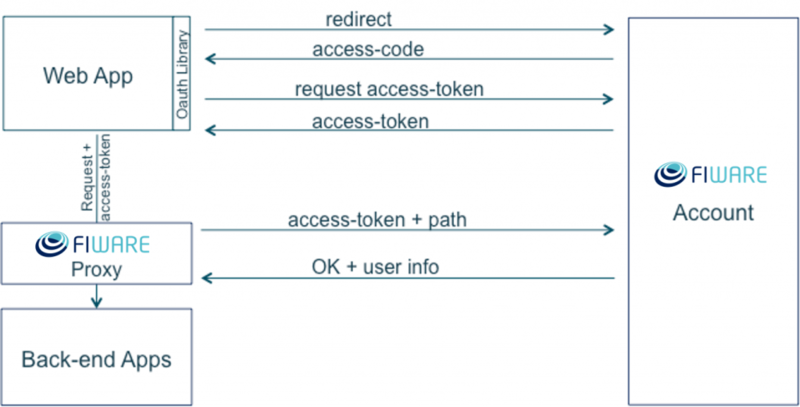 Requests to the proxy should be made with a special HTTP Header like in the previous example: X­‐Auth­‐Token. This header contains the OAuth access token obtained from FIWARE IDM GE. In the FIWARE eLearning platform you will find a webinar and a detailed tutorial explaining you how to create accounts, applications and manage authorization in your applications.